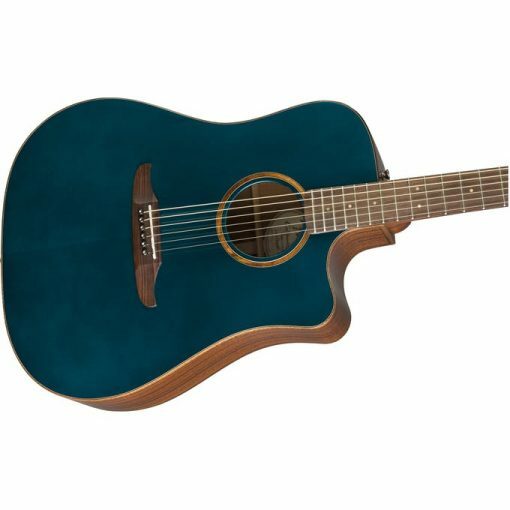 Acoustic steel-string guitar, California series, Cutaway, solid sitka spruce top, solid mahogany back and sides, mahogany neck, pau ferro fretboard, 20 frets, 43 mm nut, 650 mm scale, Modern Viking bridge, Fender/Fishman pickup system. Color: Cosmic Turquoise. Incl. gig bag. 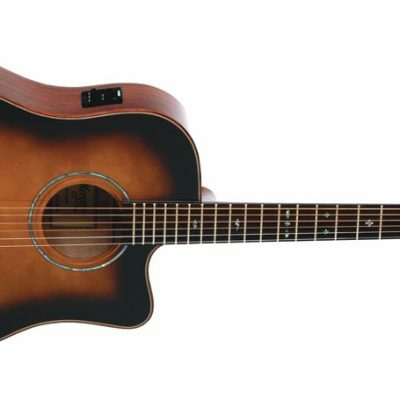 Bold and brash, the chest-thumping sound of this big-bodied acoustic was designed to inspire from the moment you pick it up. The exclusive slopeshouldered Redondo body shape has a rich, commanding voice that fills any room. The fullypainted solid Sitka spruce top and natural solidmahogany back and sides, as well as matching painted 6-in-line headstock and koa binding and rosette, giving it an elegant two-toned aesthetic that was designed for the stage. Dynamic, unique and unconventional—like today’s guitarists—the Redondo Player refuses to be bound by the past. The Redondo Classic exudes elegance and class with an unexpected style that is sure to turn heads wherever you go. Its no-compromise attitude even extends to its top-notch build quality, which features optimized bracing for reduced mass and superior resonance and an upgraded bone nut and saddle for exceptional sustain. It also includes a premium Fender- and Fishman®-designed preamp system voiced specifically for the Redondo’s body shape, allowing you to plug in to an amplifier without sacrificing the guitar’s natural sound. 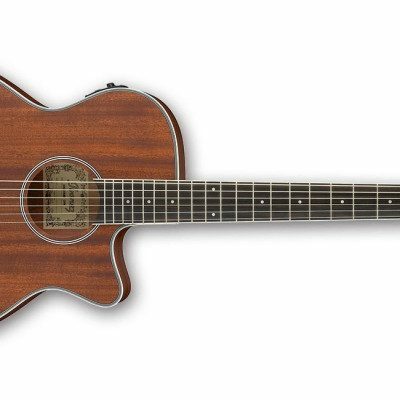 The lightweight mahogany neck features a comfortable, easy-to-play, slim-taper “C”-shaped profile suitable for any playing style, and its pau ferro fingerboard and bridge further enhance this instrument’s rich tone. With superb playability, distinctive looks and unmistakable Fender vibe, the Redondo Classic is an instrument that transcends what an acoustic guitar can be.